Gwyneth Paltrow and Chris Martin seem to have truly mastered the art of blending families, especially during the holidays. On Wednesday, Paltrow posted a photo on Instagram of her fireplace mantel, all decorated and fancy for Christmas. In the picture, several matching personalized stockings, including one for Martin, can be seen hanging in addition to stockings bearing her name, her children’s names and new husband Brad Falchuk’s name. That isn’t too much of a surprise. 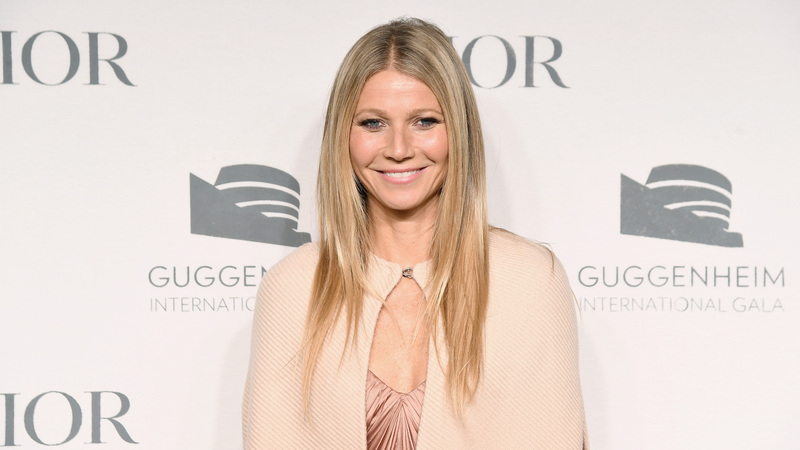 Since their “conscious uncoupling” in 2014, Paltrow and Martin have remained close as co-parents of Apple and Moses, taking them to Broadway plays and spending holidays together. On Thanksgiving, the amicable exes shared a table with Falchuk, their kids and Martin’s rumored girlfriend, Dakota Johnson. Although Paltrow’s Instagram photo doesn’t show a stocking for Johnson or stockings for Falchuk’s own children with his ex-wife, Suzanne Bukinik, it would seem Martin, at least, is part of the celebration. In November 2017, a source close to the stars told People magazine Martin accepted Falchuk into the family some time ago. “It’s amazing to see how the two families have come together with their kids,” they said. Although hanging a stocking with Martin’s name doesn’t guarantee he’ll spend Christmas with Falchuk, Paltrow and the kids next week, it does suggest the possibility is there. If he is present for the festivities, it will mark the family’s second consecutive holiday together this year.